Ginny's Kiwi Adventures: Beautiful weekend but bigtime voltage trouble! 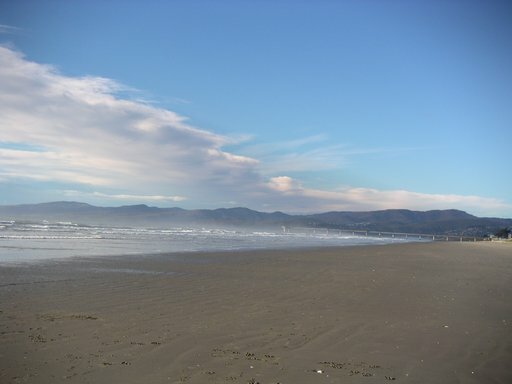 What an introduction to winter in NZ - sunny and up to about 16C this weekend. 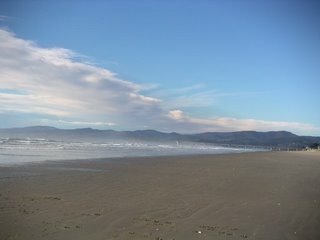 I had a great walk on the beach, watered the garden with the rain pails, drained the water off the wormbin (for those not fully informed about wormbins, you put food scraps in the top and drain "fertilizer water" off the bottom), biked around New Brighton and checked out the pool. You wouldn't believe this place - 50m indoor pool, diving pool with 1 and 3m boards and 5 and 10m platforms, wave pool with little "rivers" around the edges that kids were having a ball in.